John Singer Sargent (/srdnt/; January 12, 1856 – April 14, 1925) was an American artist, considered the "leading portrait painter of his generation" for his evocations of Edwardian era luxury. During his career, he created roughly 900 oil paintings and more than 2,000 watercolors, as well as countless sketches and charcoal drawings. His oeuvre documents worldwide travel, from Venice to the Tyrol, Corfu, the Middle East, Montana, Maine, and Florida. His parents were American, but he was trained in Paris prior to moving to London. Sargent enjoyed international acclaim as a portrait painter, although not without controversy and some critical reservation; an early submission to the Paris Salon, his Portrait of Madame X, was intended to consolidate his position as a society painter, but it resulted in scandal instead. From the beginning his work was characterized by remarkable technical facility, particularly in his ability to draw with a brush, which in later years inspired admiration as well as criticism for a supposed superficiality. His commissioned works were consistent with the grand manner of portraiture, while his informal studies and landscape paintings displayed a familiarity with Impressionism. In later life Sargent expressed ambivalence about the restrictions of formal portrait work, and devoted much of his energy to mural painting and working en plein air. He lived most of his life in Europe. 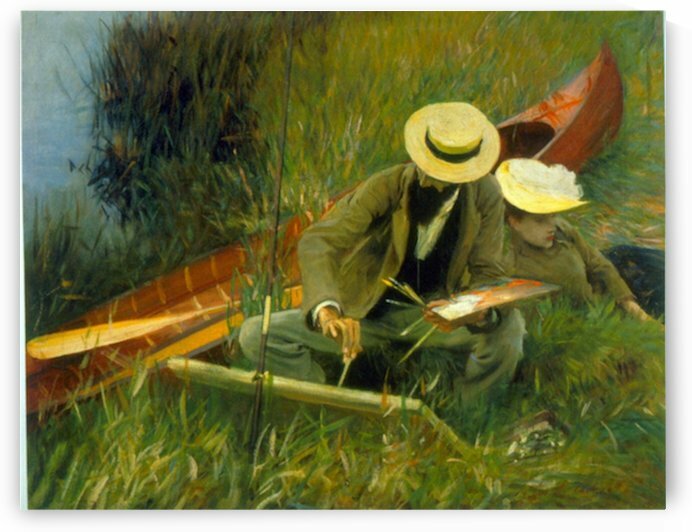 Art historians generally ignored the society artists such as Sargent until the late 20th century.